This is the last article in a four-part package looking at infectious diseases and how they’ve influenced our culture and evolution. Read the other articles here. 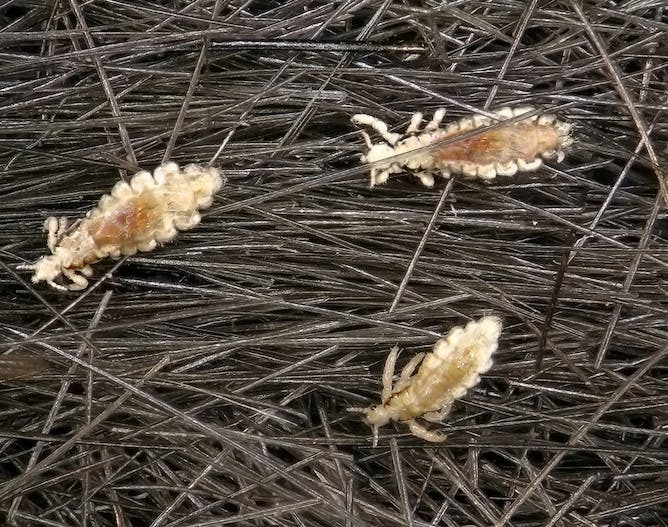 Despite being so small they can’t be seen with the naked eye, pathogens that cause human disease have greatly affected the way humans live for centuries. Many infectious diseases have been significant enough to affect how and where we live, our economies, our cultures and daily habits. And many of these effects continue long after the diseases have been eliminated. Infectious diseases have changed the structure and numbers of people living in communities. The European bubonic plague, or “Black Death” (1348-1350), identified by painful swollen lymph nodes and dark blotches on the skin, killed 80% of those infected. At least 20 million people died, which was about two-thirds of the European population at the time. It slowed urbanisation, industrial development and economic growth as people left cities and reverted to rural and agricultural life. Those who survived, however, were highly sought after for work. The accidental introduction of measles to Fiji (1875) by people travelling between Fiji and the West caused massive numbers of deaths in communities previously not exposed to the disease. In a few months 20-25% of Fijians and nearly all of the 69 chiefs died. The leadership vacuum and loss of working-age population became an opportunity for the colonial government to import labourers from other nations to work in the agricultural industries. In the Caribbean island Hispaniola it’s estimated that within 50 years of the arrival of Columbus, his crew and their “pathogens” (like measles, influenza and smallpox), the indigenous Taino people were virtually extinct. This pattern of large death tolls among Indigenous populations in the Americas is repeated in many locations, causing loss of traditional ways of life and cultural identity, and changing the course of their history. Unfortunately, introduction of an infectious disease into a susceptible population was not always accidental. “Germ warfare” was a strategy used in many colonisation and war efforts. This includes North American Indigenous populations (there are reports of blankets from smallpox-infected corpses being deliberately distributed in the late 1700s); bodies of dead animals or humans being thrown into water supplies during warfare in Italy in the 12th century; and saliva from rabid dogs or the blood of leprosy patients being used by the Spanish against French enemies in Italy in the 15th century. Infectious diseases, as well as the search for cures, have had many influences on economies over the centuries. In 1623, the death of ten cardinals and hundreds of their attendants led Pope Urban VII to declare that a cure for malaria must be found. This was a common risk in Rome, where mala aria (“bad air” from marshes thought to be its origin) had existed since late antiquity. Jesuit priests travelled from Europe to South America to learn about local treatments. In 1631, they identified quinine, made from the bark of the local cinchona tree in Peru, as a cure. 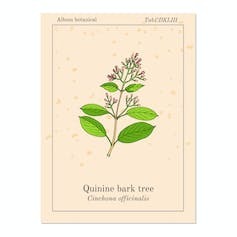 After that discovery there was a race to control quinine in order to keep armies fighting European wars, including the Napoleonic, and attempting to capture territories. At this time quinine became a commodity more precious than gold. In the late 1880s Tunisia experienced severe infectious disease epidemics of cholera and typhoid, and famines, which so badly depleted its economy that it was unable to pay off its debts. This made it vulnerable to French occupation and then colonisation. In recent times, it has been estimated that the HIV epidemic in South Africa may have reduced its gross domestic product (GDP) by 17% (from 1997 to 2010) and that SARS cost East Asia around $US15 billion, (0.5% of GDP). The origins of many food taboos appear to be linked to infectious diseases. These include prohibitions on drinking raw animal blood, on sharing cooking and eating utensils and plates between meat and other foods, and on eating pork in Judaism and Islam (most likely concerned about dangerous pig tapeworms). trying to stop people licking the cake bowl because of the risk of egg-borne salmonella bacteria. Many words and expressions commonly used in English have origins linked to an infectious disease. One such common phrase, used for a person who may not have symptoms of an infectious disease but can transmit it, is to call them a Typhoid Mary. In 1906 Mary Mallon, a cook, was the first healthy person identified in the USA as a carrier of the typhoid bacilli that causes typhoid fever, a serious disease for the Western world in the 19th century (but which globally exists and has often existed in poor communities). One public health engineer traced an outbreak in Oyster Bay and a path of outbreaks wherever Mary worked. In New York, she was put into isolation where she stayed until she died nearly three decades later. “God bless you” after someone sneezes is said as it signalled that someone was unwell, perhaps seriously. It’s credited to St Gregory the Great, although words wishing the sneezer safety from disease have been found in ancient Greek and Roman. the phrase “off colour” appears to have derived from the late 1800s where a diamond and then other items that were not their natural or acceptable colour were “off colour”, or defective. It soon extended to describe being unwell. feeling lousy means feeling poorly. A person infested with lice often scratches, may be anaemic from the lice feeding on their blood, and doesn’t feel well. The 14th-century French brought us two terms used in infectious diseases: “contagion” meaning touching/contact; and disease from des (lack of) ease (comfort). And the 16th-century term epidemic is from the French epi – among, demos – people. So pathogens evolve with us and have shaped our lives and will remain one of the forces that we adapt to as we progress through human history.